The meeting point is Piazza del Risorgimento (just at the center of the square you will find our staff members at the “Bar - Caffetteria L’Ottagono”, 400 metres from the nearest metro stop “Ottaviano”). Please be there no later than 15 minutes before the tour starts. Late arrivals will not be accommodated. If your hotel or accommodation is not listed you must reach the Gray Line-I Love Rome office in via Vittorio Emanuele Orlando 95, opposite the Grand Hotel, Metro A Line (red line), stop Repubblica. This tour ends at St. Peter's Square. If you are taking the tour on a Friday, check out our "Friday special: Evening Tour with Dinner" (from 7:00pm to 11:00pm) and consider upgrading your experience with this more scenic tour of the Vatican Museums at night & dinner included (available in English, Spanish and German). 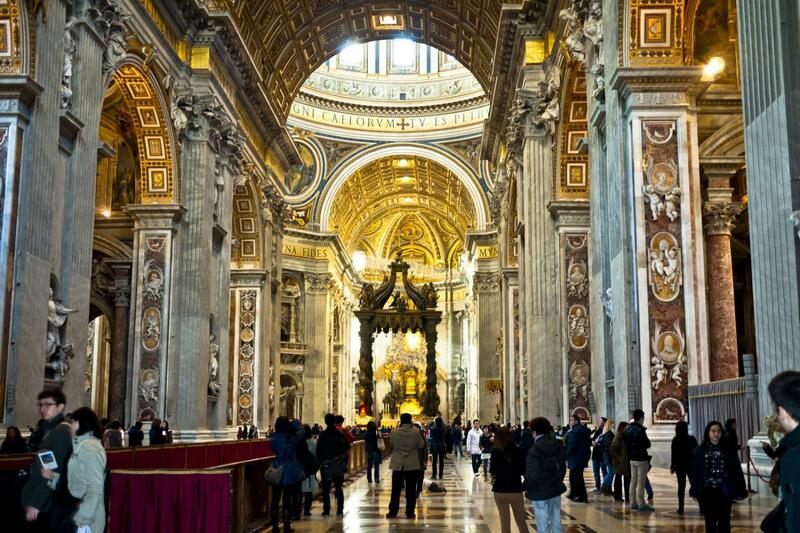 Discover the masterpieces of Rome on this tour of the Vatican Museums, Sistine Chapel and St. Peter's Basilica. You won't have to worry about waiting in long lines on this tour! We are here to ensure that you skip the lines and our expert guides will be there to give you an insider's point of view. The afternoon tour is the best option to visit the Museums and St.Peter's Church without the morning crowd. Guide and audio were very effective. He explained and answered questions nicely.